While many Bible students agree that there remains one more troublous time ahead for the nation of Israel as shown in Ezekiel 38 and 39, there is an honest dialogue as to whether this text in Jeremiah 30 refers to this battle. 9. Jeremiah 31:1, 2—transition to future chapters. Now let us pick up these pieces and examine them one by one. "Moreover the word of the LORD came to me, saying, Thus speaketh the LORD God of Israel, saying, Write thee all the words that I have spoken unto thee in a book." While the term all the words that I have spoken may refer to the whole of the prophecy of Jeremiah, they appear to have even more specific reference to chapter 29 which is the account of a letter which Jeremiah wrote warning Israel of the impending Babylonian captivity. This leaves us with one of two interpretations for the whole of Jeremiah 30. Either it refers to the return from that literal Babylonian captivity, or to the return from a larger captivity pictured by that period of exile. Since the thirtieth chapter talks about the restoration of the Davidic throne the latter seems more likely to be correct. In any case, the suggestion of these first two verses is that the lessons learned from their being sent to Babylon will have their fruitage in which he is now about to discuss. "For, lo, the days come, saith the LORD, that I will bring again the captivity of my people Israel and Judah, saith the LORD: and I will cause them to return to the land that I gave to their fathers, and they shall possess it." The regathering of Israel after their Diaspora of some two millennia is the subject of the chapter. This return would not be an overnight event, but would be a process requiring decades for its accomplishment. This regathering, according to the prophecy of the dry bones in Ezekiel 37, would be a four-step process. FIRST, there would be the bringing of bone to bone, the ingathering of the Jews back to their promised land, starting with the end of their double of disfavor in 1878. SECOND, there would be a strengthening, the building of an infrastructure, which could not begin properly until their period of being trodden upon, the Times of the Gentiles, came to an end in 1914. THIRD, the appearance would give them the appearance of being a nation, though not yet alive (having breath) in God’s sight. This has been true since the formation of the nation in 1948. FOURTH, God would give them breath, or life and recognition, when the four winds of anarchy would blow upon them in their final battle. These four steps, then, relate to the release of Israel from four unique chastisements, or punishments, through which God corrects his chosen people, disciplining them for their future work. The double of 1845 years from 33 to 1878 was for their rejection of the Messiah. The Times of the Gentiles of 2520 years from 606 BC to 1914 was for their failure to heed God’s laws, particularly its Sabbath system provisions. The hunters of Jeremiah 16 was most especially accomplished in the Nazi Holocaust of 1937-1945, chastising Israel for their failure to respond to the Zionist fishers and return to their promised land of Palestine. The effect of its release was national statehood in 1948. The future trouble of Ezekiel 38 and 39, from which the breath comes, is for the purpose of removing national pride and instilling the need for trust in God, resulting in his spirit (or breath) coming upon them. (See Zechariah 12:10). Nor are we to think of their return to the land and their possessing it, spoken of here in Jeremiah 30, as referring merely to their physical occupation of their ancient homeland. Note, in this regard, the prophecy of Ezek 20:38—"And I will purge out from among you the rebels, and them that transgress against me: I will bring them forth out of the country where they sojourn, and they shall not enter into the land of Israel: and ye shall know that I am the LORD." They shall not enter into the land of Israel. But they have. They are there. That is a fact. Here, as elsewhere, we must not let our expectations weigh as anything against the facts. The harmony, we suggest, is simple. The land of Israel here does not refer to a geographical area, but to the covenant land, the promise land which will be their kingdom possession. "And these are the words that the LORD spake concerning Israel and concerning Judah. For thus saith the LORD; We have heard a voice of trembling, of fear, and not of peace. Ask ye now, and see whether a man doth travail with child? wherefore do I see every man with his hands on his loins, as a woman in travail, and all faces are turned into paleness? Alas! for that day is great, so that none is like it: it is even the time of Jacob’s trouble; but he shall be saved out of it. For it shall come to pass in that day, saith the LORD of hosts, that I will break his yoke from off thy neck, and will burst thy bonds, and strangers shall no more serve themselves of him: But they shall serve the LORD their God, and David their king, whom I will raise up unto them." Verse 5 describes a condition in marked contrast to that of other nations who cry, Peace, peace, when there is no peace (See Jer. 6:14; 8:11; Ezek. 13:16). In verse 6 he likens this trauma to that of a man in travail with child. This, to say the least, is unusual imagery as the prophet himself admits when he compares it more appropriately to a woman in travail. This picture is reminiscent of one found in Isaiah 66:8: Who hath heard such a thing? who hath seen such things? Shall the earth be made to bring forth in one day? or shall a nation be born at once? for as soon as Zion travailed, she brought forth her children. While this nation born at once may refer primarily to the Church in context, there is apparently a double application—Israel will be that nation: (1) Spiritual Israel, the `holy nation’; (2) Fleshly Israel, its earthly representative. Travail describes the birth pang, the final trauma before giving birth. This is an apt description of the battle of Ezekiel 38 and 39. Now, notice verse 7—building on this figure of the birth pang, the prophet defines it: it is even the time of Jacob’s trouble. But, unlike Rachel dying in giving birth to Benjamin, Jacob [Israel] will be saved out of it. Verse 8 appears to be an allusion to the blessing of Esau which is found in Genesis 27:39-40 And Isaac his father answered and said unto him, Behold, thy dwelling shall be the fatness of the earth, and of the dew of heaven from above; And by thy sword shalt thou live, and shalt serve thy brother; and it shall come to pass when thou shalt have the dominion, that thou shalt break his yoke from off thy neck. This blessing of Esau is listed by Paul as a great act of faith on the part of Isaac in Hebrews 11:20 By faith Isaac blessed Jacob and Esau concerning things to come. In at least one picture, Romans 9:13, Esau represents natural Israel while Jacob represents the Church. Israel is indeed destined to have the dominion, but not while the Church is on this side of the veil. The yoke which Israel will break off their shoulders is their rejection from the highest prize, the Church, which cannot happen until the great gulf fixed of the parable of the Rich Man and Lazarus is bridged. Note Romans 11:25, 26 For I would not, brethren, that ye should be ignorant of this mystery, lest ye should be wise in your own conceits; that blindness in part is happened to Israel, until the fulness of the Gentiles be come in. And so all Israel shall be saved: as it is written, There shall come out of Sion the Deliverer, and shall turn away ungodliness from Jacob. It is then that Israel will be free to independently serve the Lord their God and it is then they will recognize the greater than David, their Messiah, as their king. This is also suggestive of the fact that the Jacob’s trouble of verse seven is the precursor for this recognition of their Messiah. "Therefore fear thou not, O my servant Jacob, saith the LORD; neither be dismayed, O Israel: for, lo, I will save thee from afar, and thy seed from the land of their captivity; and Jacob shall return, and shall be in rest, and be quiet, and none shall make him afraid. For I am with thee, saith the LORD, to save thee: though I make a full end of all nations whither I have scattered thee, yet will I not make a full end of thee: but I will correct thee in measure, and will not leave thee altogether unpunished." Once again God states his intent concerning Israel. Once again he spans the entire period of the return. The salvation from afar and the return of the Jews from the land of their captivity reaches back as far as the coming together of Ezekiel’s visionary "bones"—to 1878. But the rest—the quietness and lack of fear—point forward to their full inheritance. Then, in verse eleven, he hones in on Israel’s final battle. He compares the effect of that battle on Israel and on the nations that attack her. The invading coalition will be destroyed. This expression full end should not be taken in the sense of total annihilation, for we read in Isaiah 66:18, 19: For I know their works and their thoughts: it shall come, that I will gather all nations and tongues; and they shall come, and see my glory. And I will set a sign among them, and I will send those that escape of them unto the nations, to Tarshish, Pul, and Lud, that draw the bow, to Tubal, and Javan, to the isles afar off, that have not heard my fame, neither have seen my glory; and they shall declare my glory among the Gentiles. Nevertheless the desolation will be massive. In contrast, the promise to Israel is that God will not make a full end of thee. This does not negate the fact that the troubles described will not be punitive in nature for Israel, for it is for the very purpose of wiping out their pride—purging out the rebels. These are described in Zephaniah 3:11 as those that rejoice in thy pride. "For thus saith the LORD, Thy bruise is incurable, and thy wound is grievous. There is none to plead thy cause, that thou mayest be bound up: thou hast no healing medicines. All thy lovers have forgotten thee; they seek thee not; for I have wounded thee with the wound of an enemy, with the chastisement of a cruel one, for the multitude of thine iniquity; because thy sins were increased. Why criest thou for thine affliction? thy sorrow is incurable for the multitude of thine iniquity: because thy sins were increased, I have done these things unto thee." We perhaps get the wrong thought when we look at the word incurable in both verses twelve and fifteen. We would suggest that the thought of the Hebrew is: "You have a severe fracture and a wide open wound." While describing a matter of grave concern, the word is often used of situations that are not truly incurable. For instance, in Job 34:6 we hear that afflicted man say: Should I lie against my right? my wound is incurable without transgression. Job’s wound was curable. God cured it. But, in the ordinary course of events, with the best medicines that human doctors could give it, it would not respond to treatment—it appeared incurable. Such is Israel’s situation entering Jacob’s trouble. With her back to the wall Israel has repeatedly applied miracle cures to her political and military situation. These have worked wondrously well. But now the situation is so bleak that these cures appear inadequate. "There is none to plead thy cause." Think of how the U. S. and other nations have pled Israel’s cause on many occasions during the past century. "Thou hast no healing medicines." Forced to stand more and more alone, Israel feels less and less up to solving her grave problems. "All thy lovers have forgotten thee; they seek thee not." So descriptive of our own day. Then the final blow. These things have come upon you, not because of some external implacable foe; but "for the multitude of thine iniquity; because thy sins were increased." This statement seems hard to harmonize with Isaiah 40:1, 2: "Comfort ye, comfort ye my people, saith your God. Speak ye comfortably to Jerusalem, and cry unto her, that her warfare is accomplished, that her iniquity is pardoned: for she hath received of the LORD’s hand double for all her sins." That double was over in 1878. It was (and I quote) for all her sins. If all her sins were covered by that punishment, why do we have a multitude of thine iniquity here? Simply because these are new sins. Before it was the sin of idolatry; now it is the sin of pride. Yet grievous as is that sin God says, I will not make a full end of thee. This, in verse fourteen. is called a chastisement. It is an experience for their education and correction. Whom the father loves more, he chastises the more. The higher role the one is to play, the stricter the requirements and the greater the correction to prepare the servant for his duties. "Therefore all they that devour thee shall be devoured; and all thine adversaries, every one of them, shall go into captivity; and they that spoil thee shall be a spoil, and all that prey upon thee will I give for a prey. For I will restore health unto thee, and I will heal thee of thy wounds, saith the LORD; because they called thee an Outcast, saying, This is Zion, whom no man seeketh after." Now, having spoken so harshly to his beloved, God directs the prophet’s attention to the invaders. The devourer shall be devoured; the spoiler shall be spoiled; he who took the prey shall become a prey. Notice Zechariah 1:15—"And I am very sore displeased with the heathen that are at ease: for I was but a little displeased, and they helped forward the affliction." Even though God used the invading nations as an instrument of his own in punishing recalcitrant Israel, he does not hold them blameless. This is a principle of God’s operation. Assyria was the rod of mine anger said God, yet Assyria was destroyed. Jehu was used to destroy the wicked house of Ahab and Jezebel; yet Jehu was judged by God for this very act (Hos. 1:4). The man who led the scape goat into the wilderness performed a necessary function, yet he was unclean thereby and had to wash before reentering the tabernacle. Even the role of Judas was a required role in God’s plan, but he was heavily condemned for that act of treason. The thought of Israel’s enemies being spoiled and made a prey is a separate bypath which space will not permit investigating now. We merely mention Isaiah 33:1; Matthew 12:29; Isaiah 53:12; Isaiah 33:23. Now notice the contrast of the fate of these enemy nations with that of Israel in verse seventeen: "For I will restore health unto thee, and I will heal thee of thy wounds, saith the LORD; because they called thee an Outcast, saying, This is Zion, whom no man seeketh after." The incurable wound is cured. They will no longer be called Outcast The Hebrew word here is nadach and has a stronger implication than merely being one who is cast out. It implies moral laxity on the part of the outcast. Vine’s Dictionary has this to say: "The implication seems to be that an inner `drivenness’ or `drawing away,’ as well as an external force, was involved in Israel’s potential turning toward idolatry." In other words the accusation is not only of Israel being cast off, but that they deserved it, that they were backsliders. "Christ-killers" became a slogan of anti-semitism. Now the tables are turned. The spurned becomes the sought after. "Thus saith the LORD of hosts; In those days it shall come to pass, that ten men shall take hold out of all languages of the nations, even shall take hold of the skirt of him that is a Jew, saying, We will go with you: for we have heard that God is with you." (Zech. 8:23). "Thus saith the LORD; Behold, I will bring again the captivity of Jacob's tents, and have mercy on his dwellingplaces; and the city shall be builded upon her own heap, and the palace shall remain after the manner thereof. And out of them shall proceed thanksgiving and the voice of them that make merry: and I will multiply them, and they shall not be few; I will also glorify them, and they shall not be small.Their children also shall be as aforetime, and their congregation shall be established before me, and I will punish all that oppress them. And their nobles shall be of themselves, and their governor shall proceed from the midst of them; and I will cause him to draw near, and he shall approach unto me: for who is this that engaged his heart to approach unto me? saith the LORD. And ye shall be my people, and I will be your God." The tents seem to indicate the poor and humble, the meek, those of the unwalled villages. Notice, in this regard, the words of Zechariah 12:7: "The LORD also shall save the tents of Judah first, that the glory of the house of David and the glory of the inhabitants of Jerusalem do not magnify themselves against Judah." Here, too, are the same three elements—the tents of Judah, the palace of house of David and the city, "the inhabitants of Jerusalem." The beginning of Israel’s role will be with the meek and humble, the tent-dwellers. This is clear in Zephaniah 3:12 "I will also leave in the midst of thee an afflicted and poor people, and they shall trust in the name of the LORD." Then comes the city or civil government, which will be through the ancient worthies, the judges and counselors of Isaiah 1:26. The last step will be the restored Theocracy, with the antitypical David, Christ, as their king—the palace of our text. Their children is apparently a reference to the former generations of Israel who, through the prayers of the living, shall come back from the prison house of death. These shall join with the living to form an ever-growing congregation that shall be established throughout the world. Then those that oppressed them will in turn be punished until they come to the Jew with humble hearts to learn of the Lord. This is beautifully pictured in the restoration of Job when his three comforters come to him and ask him to pray for them. But not only his comforters, even his neighbors and family come to him bearing gifts. "Then came there unto him all his brethren, and all his sisters, and all they that had been of his acquaintance before, and did eat bread with him in his house: and they bemoaned him, and comforted him over all the evil that the LORD had brought upon him: every man also gave him a piece of money, and every one an earring of gold." (Job 42:11). These four actions beautifully illustrate the recognition which the Gentiles will bring to the Jew at that time. (1) They will eat bread in the near eastern custom of the peace treaty, the covenant of salt pledging their friendship; (2) they must bemoan and comfort Israel for the harm which they have caused her. (3) The word for piece of money is, literally, a lamb of money, or the monetary equivalent for the purchase of a lamb. Thus will mankind bring to Israel their recognition of the cost of their redemption—the death of the Lamb of God which taketh away the sin of the world. Finally, (4) a golden ear ring showingthat they will have open ears to the divine instructions preceding from Israel at that time. In Jeremiah 30:21, the expression "their nobles shall be of themselves" is an apparent reference to their ancient prophets, now resurrected, who were, almost without exception, of their own kin. But, as nobles is in the plural, so "governor" is in the singular. One governor—Messiah—who also came from the midst of them (as Moses said in Acts 3:22). This governor will Jehovah cause to draw near and approach God on Israel’s behalf—as their mediator. Notice this same chain of command in Hosea 2:21, 22, "And it shall come to pass in that day, I will hear, saith the LORD, I will hear the heavens, and they shall hear the earth; And the earth shall hear the corn, and the wine, and the oil; and they shall hear Jezreel." Jehovah will hear the new heavens—the mediator, Christ and his church. The church will hear the earth. The earth will be guided, as was Israel of old, by the prosperity of the corn, wine and oil. These shall come as they pay attention to Jezreel, a picture of Israel. Then, under the new covenant arrangements, ye shall be my people, and I will be your God. "Behold, the whirlwind of the LORD goeth forth with fury, a continuing whirlwind: it shall fall with pain upon the head of the wicked. The fierce anger of the LORD shall not return, until he have done it, and until he have performed the intents of his heart: in the latter days ye shall consider it." The whirlwind of Armageddon is identified in the closing verses as the means by which God will accomplish his judgments concerning Israel and her attackers. This anger, we are assured, will not be assuaged until the work of judgment is fully accomplished. In a similar vein, in Rev. 15:1 we read that in the seven last plagues against Babylon is filled up the wrath of God—the full measure of judgment, both on Israel and much more so on her foes, will be poured out. But the whirlwind, like so many of the other images in our chapter, will have two effects—a different one upon Israel than upon the other nations. In Daniel 2:35 we see the destruction of Nebuchadnezzar’s mighty image. We see the stone strike it on the feet and then grind it into powder so that it became as the chaff of the summer threshingfloor. Now notice what happens to that chaff in Isaiah 17:13: "The nations shall rush like the rushing of many waters: but God shall rebuke them, and they shall flee far off, and shall be chased as the chaff of the mountains before the wind, and like a rolling thing before the whirlwind." But the same wind that scatters the nations as chaff has a far different effect upon Israel as we saw earlier in Ezekiel’s vision of dry bones: "Then said he unto me, Prophesy unto the wind, prophesy, son of man, and say to the wind, Thus saith the Lord GOD; Come from the four winds, O breath, and breathe upon these slain, that they may live" (Ezek. 37:9). 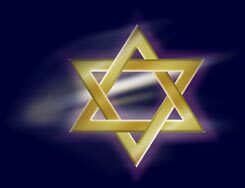 "At the same time, saith the LORD, will I be the God of all the families of Israel, and they shall be my people. Thus saith the LORD, The people which were left of the sword found grace in the wilderness; even Israel, when I went to cause him to rest." As the opening verses of the thirtieth chapter connected our study with the Babylonian captivity of chapter twenty-nine, so the opening verses of the next chapter connects Jacob’s Trouble with the Millennial kingdom and its New Covenant with the house of Israel. Notice the opening words of chapter thirty-one, "At the same time." This is perhaps our most definitive text to identify the time period of chapter thirty and the "Jacob’s Trouble" mentioned therein. Even as the closing chapter of Isaiah dealt with the escapees of the armies of the north which attack Israel in "Jacob’s Trouble;" so verse two of this chapter deals with the escapees of Israel from the same trouble. We are not informed definitively of the size of this people which were left of the sword, but several texts suggest that it may be but a small percentage of the Jewish people who are found to have the right heart condition to form the nucleus of the kingdom under the ancient worthies. Isaiah 6:13 implies that it may be as small as a tenth, just ten percent. To this agrees the words of Amos 5:3, "For thus saith the Lord GOD; The city that went out by a thousand shall leave an hundred, and that which went forth by an hundred shall leave ten, to the house of Israel." Further indicative of the same point is Ezekiel 20:37, "And I will cause you to pass under the rod, and I will bring you into the bond of the covenant. This text is based on the Jewish concept of tithing, as found in Lev 27:32—And concerning the tithe of the herd, or of the flock, even of whatsoever passeth under the rod, the tenth shall be holy unto the LORD." What we have seen, then, is that the thirtieth chapter of Jeremiah is one of many in the Scriptures which details the various features of the return of the Jews to their homeland at the second advent. We have noted the tight connections between this chapter and prophecies concerning Israel which are still in the future. Therefore, in answer to our original question, we suggest this term "Jacob’s Trouble" applies to the battle of Ezekiel 38 and 39 which we believe still lies ahead, hopefully in the near future.